RCWRT President, Paul Martin is honored to display a collection of his original drawings and prints at the prestigious Union League Club Gallery in NYC. 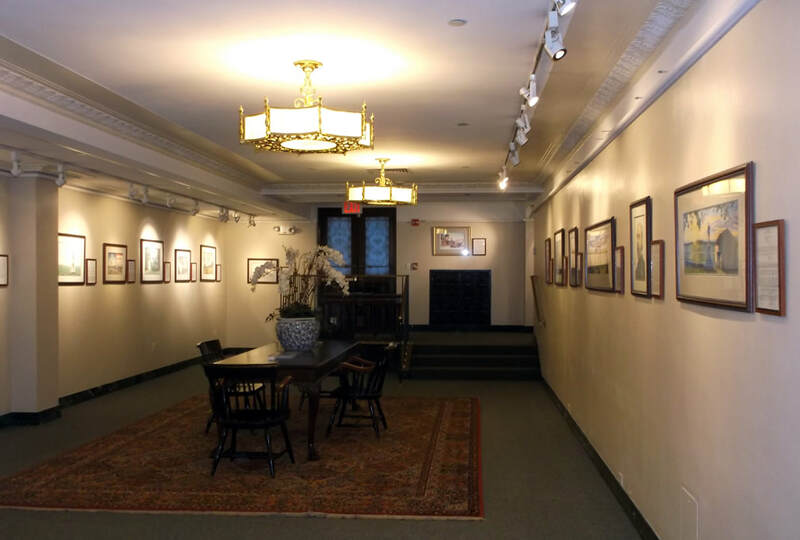 28 of his historical landscapes, portraits and montages along with accompanying historical essays grace the walls of the clubs art gallery located on the first floor of the ULC. Be sure to stop on by to view the exhibit and attend the artist's reception on Wednesday, October 25 from 6-9 PM. Gallery open 7 days a week 8 AM- 9 PM. Business attire required at all times.